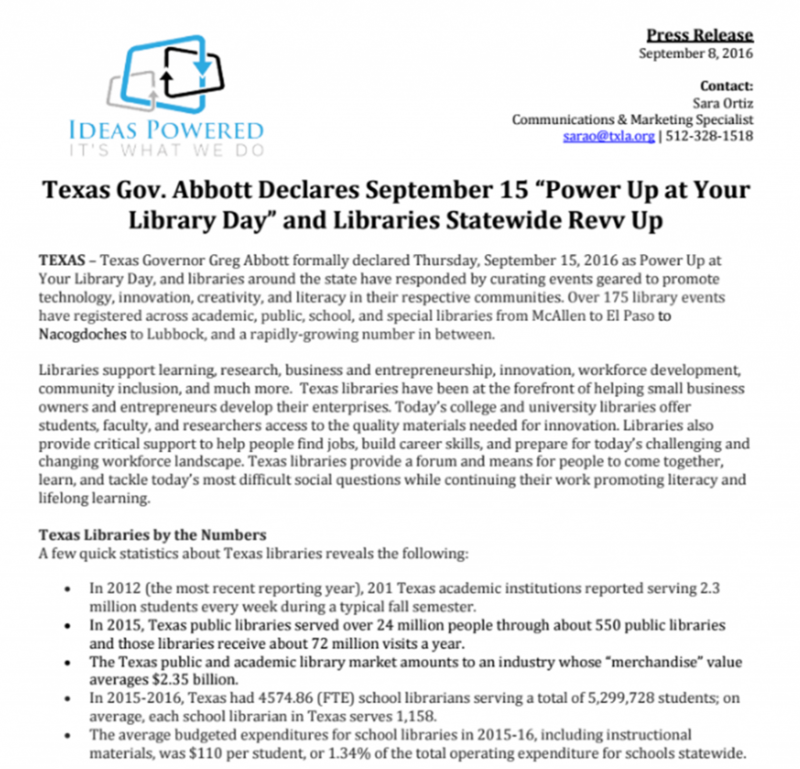 In April 2016 at annual conference, the TLA PR + Marketing Committee launched the campaign “Ideas Powered: It’s What We Do” to showcase the innovation, leadership, and technology-centered work being generated in today’s libraries. 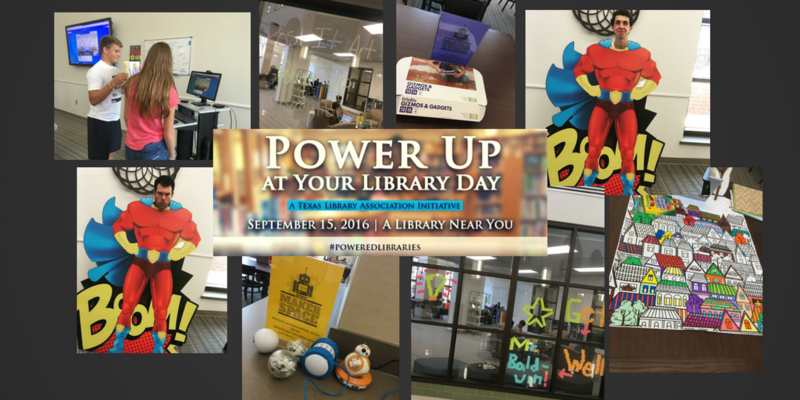 Reedy Library joined the committee in raising awareness about libraries, and planned programs for POWER UP AT YOUR LIBRARY DAY which we celebrated on on Thursday, September 15, 2016. Collectively, participants around the state will showcase how libraries, digital learning, and communities come together. We hadr Makerspace activities out for students to create and explore. We had stations that included poster-sized and bookmark-sized adult coloring pages, puzzles, table games. Our electronic “powered” activities included Ozobots, Spheros, BB-8, and Littlebits Gizmos and Gadgets. We are had Post-It Window decorating. We have a couple of research projects going on in the library that and two of our Professional Communications classes Skyped with some kiddos from one of our elementary schools. Finally we also hosted some Super Smash Brothers video game play in the library.